“I believe that every life is valuable. That we can make things better. 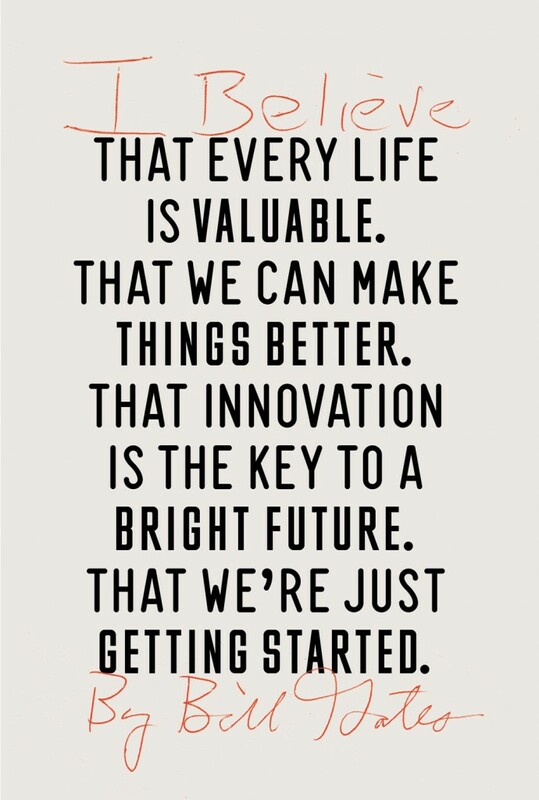 That innovation is the key to a bright future. That we’re just getting started” (Gates, 2013). This quote is featured in an inspiring article titled Here’s My Plan to Improve Our World — And How You Can Help by Bill Gates. The article details the idea of how technological advances and scientific innovation can help reduce poverty and poor health in developing countries. Gates discusses the ways governments and businesses should continue to help developing countries flourish, and with the additional aid of everyday people this dream can be realized. You can read more on the Bill & Melinda Gates Foundation and how you can help here.